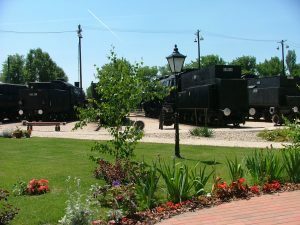 Territory of the Hungarian Railway History Park is open for outdoor events from Spring to Autumn. The park, the promenades as well as the playground are ideal location for family events or weddings. We recommend the following program options for outdoor events for a fee: traveling on the big locomotive, or in a smaller one in the garden railway, handcaring.